CAN you sell anything to anyone just by being yourself? 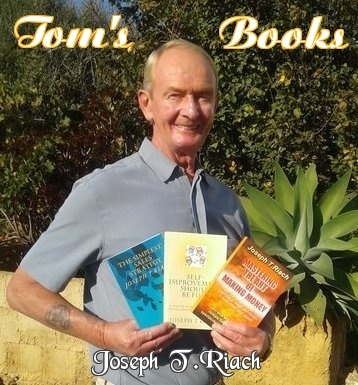 Joseph T.Riach says 'Yes'! And in this remarkable book reveals how and why. TOM asserts that every person on the planet sells every day whether they know it or not. And what they sell is … themselves! “Every single person on the planet sells … whether they care to admit it or not! The act of attracting a mate is the perfect example. The guy who gets the girl (or vice versa) is not necessarily the best looking, most intelligent, athletic or most charismatic personality but the one who sells him or herself most effectively. So whether just an average Joe intent on living a happy life or one with aspirations to be a top shot sales professional then this book is for you. For many years I have run my WAKE UP LEISURE AND LEARNING BREAK (click on) where I talk of success and of creating serious wealth. 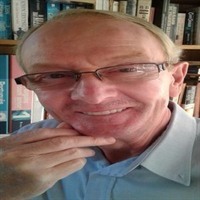 Or send for my THE SIMPLEST SALES STRATEGY Amazon best-seller, it's packed with my secrets of success and exact details of how I earned a fortune as a Super Achiever. Click the image below. 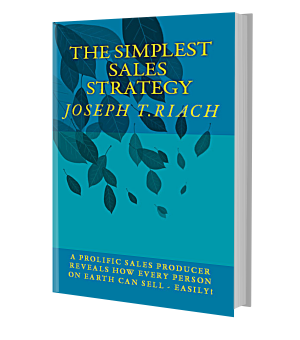 THE SIMPLEST SALES STRATEGY is an original copyright Tom Riach press release, short and to the point. I hope you enjoyed reading it and found it informative and/or entertaining. To learn more or to get in touch with me please visit me on my website at TOMRIACH.COM.